Michael Sipser is Dean of the School of Science (since 2014) and a former head of the Department of Mathematics at MIT (2004-2014). He is a theoretical computer scientist and a member of CSAIL. Professor Sipser's research areas are in algorithms and complexity theory, specifically efficient error correcting codes, interactive proof systems, randomness, quantum computation, and establishing the inherent computational difficulty of problems. He is a Fellow of the American Academy of Arts and Sciences. Noah Arbesfeld is a research associate in mathematics at Imperial College London. He received his PhD at Columbia University in 2018 under Andrei Okounkov. As a high school student, he was awarded the 6th place and a scholarship in the 2009 Intel Science Talent Search finals for a project in abstract algebra, which he had carried out at the Research Science Institute (RSI) under the supervision of Pavel Etingof and David Jordan. Martina Balagovic, formerly a graduate student at MIT and an RSI mentor, is a lecturer at Newcastle University, UK. While at MIT, she mentored two high school students, Arjun Puranik and Anirudha Balasubramanian, who became, respectively, a finalist and a semifinalist at national science competitions. Mira Bernstein is Executive Director of Canada/USA Mathcamp, a binational summer program for mathematically talented high-school students. She received her PhD in mathematics from Harvard University in 1999, did her postdoctoral work at University of California Berkeley, taught mathematics at Wellesley College, and currently holds a research faculty position in the interdisciplinary program in Science, Technology, and Society at Tufts University. She is a founding member of the Metric Geometry and Gerrymandering Group. Tatyana Finkelstein is an award-winning mathematics teacher who has taught for over a decade in the Lexington Public School system after teaching mathematics for a decade in St. Petersburg, Russia. She is a 2006 recipient of the Distinguished High School Mathematics Teaching Edyth May Sliffe Award. Mrs. Finkelstein has also been a counselor in the PROMYS for Teachers program at Boston University. David Jerison is Professor of Mathematics in the Mathematics Department at MIT. He is currently Chair of the Pure Mathematics Committee and directs SPUR, the mathematics department's summer undergraduate research program as well as the mathematics component of the Research Science Institute (RSI). Professor Jerison's research is focused on partial differential equations and Fourier analysis. He is a Fellow of the American Academy of Arts and Sciences. Gigliola Staffilani is the Abby Rockefeller Mauzé Professor of Mathematics and Associate Department Head in the Mathematics Department at MIT. Professor Staffilani is an analyst, with a concentration on dispersive nonlinear partial differential equations. Richard Stanley is the Norman Levinson Professor of Applied Mathematics in the Mathematics Department at MIT. He led the combinatorics section of the Clay Research Academy for high school students. He runs a problem-solving seminar that prepares MIT students for the William Lowell Putnam Mathematical Competition. Professor Stanley's research concerns problems in algebraic combinatorics. He is a Fellow of the American Academy of Arts and Sciences and a Member of the National Academy of Sciences. Arkady Vaintrob is Associate Professor in the Department of Mathematics at the University of Oregon. Before coming to the U.S., for many years he taught mathematics classes for exceptionally talented students at the famous Moscow School 57. He mentored two top winners in national U.S. science competitions, Dmitry Vaintrob and Eric Larson. His research interests are algebra, algebraic geometry, and topology. 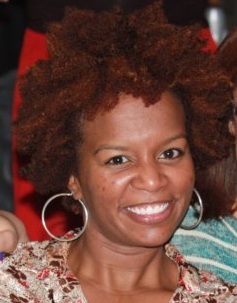 Chelsea Walton is a Selma Lee Bloch Brown Assistant Professor in the Mathematics Department at Temple University. My areas of research lie in noncommutative algebra, noncommutative algebraic geometry, quantum algebra, and representation theory. She has served as instructor and speaker in several programs aimed at increasing diversity in mathematics, including the 2012 USTARS conference, the 2013 Connections for Women workshop at MSRI, and the 2013 ADVANCE PRiME seminar series, the Enhancing Diversity in Graduate Education (EDGE) program, and served PRIMES Circle program coordinator in 2013-2014. Shawna Young is Executive Director of the Duke University Talent Identification Program (TIP), formerly Executive Director of the Office of Engineering Outreach Programs (OEOP) and Director of the Minority Introduction to Engineering and Science (MITES) Program at MIT. Ms. Young received a BS in Chemistry from Howard University and MAT in Science Education from the University of North Carolina at Chapel Hill. She has a great deal of experience working with students and helping them prepare for college and careers in science.